Sunday I woke up late, and went to find my friends who had just left for the paderia (bakery) for breakfast. I realized upon returning to the apartment, that the bloco for Sunday (at least the one my friends were attending) was in a different part of town. This was incredulous to me because it meant that the same madness I'd experienced with over a million people during the previous three days was happening in multiple locations around the city of Salvador. In fact, I later learned that the bloco for Sunday was Copo Grande, which was original: both bigger and longer! It started early, around 3 (no recovery time as I'd slept at 5 and woken at 11), and instead of 4 hours, it went on for 6, which meant we didn't get home until nearly midnight. Insane. It's really tough to describe Carnaval, but last night after getting home from my last bloco I started to get that feeling you get when you are at the end of a great vacation. I know that I will return to Salvador at some point, but with the situation I was in, the atmosphere, the blocos, my 15 new friends in a small apartment… some things will be hard to repeat. Sunday morning, I didn't find my friends for breakfast, but met another group of girls while waiting for my food, who invited me to join them, and later invited me to visit them in Sao Paulo. 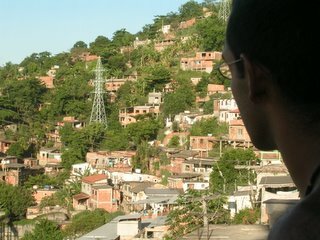 Later that day, I met some sisters during the bloco, who stayed with the group and invited me to visit them in Port Alegre. Meeting people in Brazil is exceptionally easy… I am constantly amazed. People are so quick to invite you to join them, doing whatever. I wish hospitality was like this in the US. 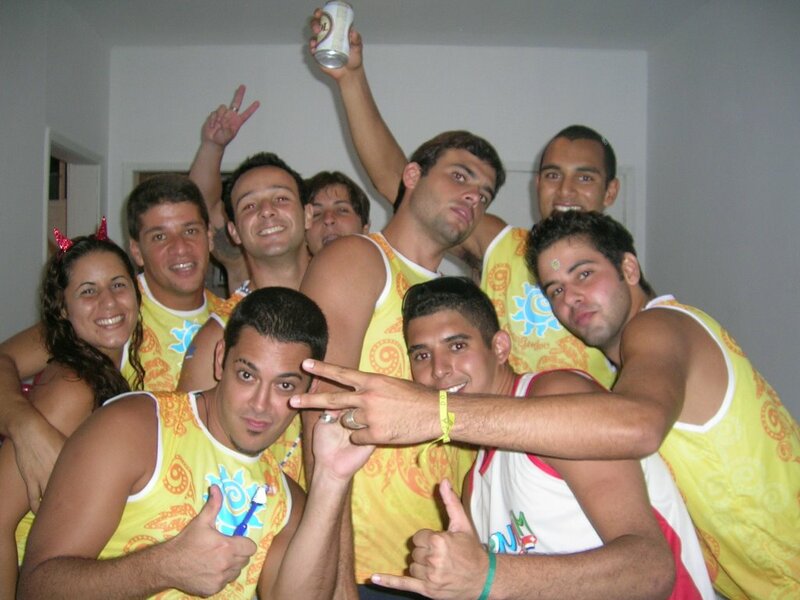 My new friends from the apartment have invited me to go out with them in Rio (all live there or in Niteroi), and to use vacation houses in other parts of Brazil. After getting back last night, I went out again, this time alone, to see some of the late night blocos. At 2am, some were just getting started, and I realized that there were many more than I had initially realized, and there were also many more variants in terms of pricing. The ones I saw late last night were much cheaper, which was evident from appearence of the people who had abadas and were inside the ropes. There seemed to be a gradation of blocos, and you buy the one you can afford, and therefore party with people in your socioeconomic class. The cheapest of course is to faz pipoca, which is to stay outside the bloco for free. I initially thought this to be a bit separatist… but then life is like that right? We buy houses in neighborhoods where we can afford them, and live amongst people in our socioeconomic class. The contrast was quite apparent in this situation though. The people on top of the trioelectricas (moving trucks with bands) were throwing free bandanas to the camorote who were watching from the rich hotels lining the street. If someone didn't catch it, it fell into the pipoca, where people were grabbing for what seemed like the scraps. Absolute craziness. I truly am at a loss for words to describe my last two days of Carnaval in Salvador. However, it's extremely unlike me to be at a loss for words, so let me give it a try. It's a bit strange for me to start thinking again, because I don't think I've had a non-carnaval thought pass through my head in the last 48 hours. On Thursday night, I went to the Ivete Sangalo (very famous singer here) bloco party. My friends and I waited for nearly two hours for her to arrive, and got some close up pictures as she got on the van. Unfortunately, Evelyn lost her camera during the parade, so I hope mine turn out. The parade started at 6pm, and Ivete's trailer was about 4th or so, so we actually got going at 9 or so. It was craziness from the start. Everyone with an abadá (tshirt) moved into the roped off area around the trucks, which probably stretched for about 400 meters, and took up 90% of the street. Still, we were packed in a huge moving mosh pit, and everyone jumping and shouting and singing. I knew her music, thanks to a dvd and some cd's I listened to, and everyone else seemed to know every word too. What really made the difference was the temperment of the people… It was SO tight, but everyone was there to have a good time, and unlike the mosh pits at home, where some jackass is always starting a fight, this one was good natured. Outside the roped-off area is called the "Pipioca" or "popcorn" which consists of the poorer crowd. It was a little rougher on the outside, and there were quite a few fights, and a number of people being taken away by the police. On the sides of the street were the "Camarote" which is another pay-to-enter option, where you watch all the parades go by from a safe distance. You can see the stands and verandas in the picture above. A highlight of the night was when Ivete stopped in front of Oceania, a hotel with a rich Camorote, and started playing "Vertigo" by U2. After a few minutes, we realized that U2 was staying in Oceania, after their concert earlier this week in Sao Paulo… and Ivete and Bono sang back and forth for a few songs. Gilberto Gil was there too, and also chimed in (he's one of the nation's most popular singers, … oh, and the Minister of Education). It was amazing… the best party I've been to, and U2 dropped in as well. The parade lasted for hours, and everyone was drinking and going wild the entire time…. there wasn't really the wax and wane of normal concerts. I was shielding Marcie and Evelyn from the herds of guys attempting to kiss them (no one asks questions, or listens to turn downs…). I all of a sudden became everyone's boyfriend of the moment, as it was the only excuse that worked. Sometimes I denied it, just to add some excitement. I also stopped a few times to make some balloons for some of the kids in the Pipioca. Ivete's parade lasted until about 2:30am, at which point Evelyn and Marcie escaped to their hotel at the end of the route, and I had to make the 3+ miles trek back home, fighting the crowds of pipoca. Scary at first, but I got used to it. I have started to realize that with my build and skin color, other people are probably more scared of me than I am of them. You just have to keep an eye out to make sure you don't get caught inthe middle of a fight by mistake. Oh, and never look like you're lost, and always walk with confidence. Yesterday, I tried to find a abadá for the bloco party my friends were going to, but was unsuccessful. However, the night was anything but lost. I pre-partied in the apartment, then joined the pipoca, dancing and going crazy on the other side of the rope. I finally stopped and made some balloon animals, which turned into a zoo, as usual, and I continued until I was out of balloons and my cheeks hurt. The kids were ecstatic, and I was invited back off the street to play around with them for a while. What started out as a silly hobby has really turned into an amazing asset when I'm traveling. I was coming home, when I encountered Gilberto Gil's bloco, which is always free, so I joined that for a few hours… I finally made it home around midnight, and one of my friends was angry because everyone came home so early. (Their bloco started first, so went from 6-12pm) So a few of us washed up and then went out again. After much craziness we came home at around 4, and today I've been trying to nurse myself back to health. You are currently browsing the A Search For (My) Life blog archives for February, 2006.